With nearly 50,000 plugins in the WordPress Plugin Directory and thousands more on 3rd party sites, it can be extremely difficult to know where to start when looking for plugins to improve the SEO performance of your site. Big lists of ten or 20 WordPress plugins are not very helpful and will probably make things more confusing for you by giving you so many options, and the truth is, you don’t need that many plugins to give yourself a solid SEO foundation in WordPress! 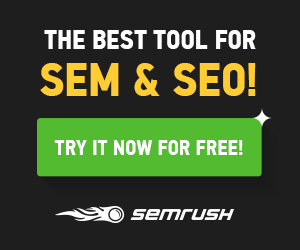 Simply put, this is the most comprehensive SEO plugin for WordPress. While I’m not a fan of the recent design changes and new setup wizard (although, I can see how the setup wizard would be beneficial to novice SEOs), all of the previous functionality is still there which made Yoast my favorite SEO plugin. Titles and Metas – This section allows you to force rewrite titles (individually adjust title and meta description at the page level) and allows you to noindex different post types, taxonomies, archives, and subpages. You’ll also find settings for the meta keywords tag (which have long been obsolete), and keep search engines from using DMOZ and Yahoo directory listings to automatically populate meta information in search results. You can also set default templates for post and page titles, categories, and author archives. Social Settings – This section makes it easy to administer Facebook Open Graph and Twitter Cards meta data on your website. One of the most valuable things from this section may be the ability to see Facebook insights from within your WordPress dashboard. Sitemaps – The Yoast SEO plugin has a built in XML sitemap generator with a comprehensive list of options. You can easily select which categories and taxonomies you want to include or exclude from your XML sitemap. You can also exclude single pages or posts here, but that is more easily done when editing individual pages/posts. Advanced – Here you can adjust breadcrumb settings and taxonomies for different posts and categories. You can strip /category/ from your WordPress category URLs and redirect attachment URLs to parent post URL, if required. Tools – This section allows you to directly accesses your .htaccess and robots.txt files to perform a number of rewrite and redirect functions. You can also access the ‘Bulk editor’ here, where you can make bulk changes to page titles and meta descriptions without having to access the edit page. This is a very handy feature when you have a lot of changes to make. Search Console – One of the best features of the Yoast SEO plugin is it’s integration with Google Search Console. You can quickly view errors and mark them as resolved from within your WordPress dashboard. The Yoast SEO plugin ‘Snippet Preview’ feature in the WordPress page/post editor. Yoast also have a range of premium SEO plugins. The best feature of the Yoast SEO Premium plugin is the redirect manager. However, to me, this feature is not worth the $69 fee for a single site licence and I choose to manage redirects with the Quick Page Post Redirects plugin (mentioned below). I use Yoast’s News SEO for WordPress plugin on websites that have been accepted into Google News. This plugin makes managing your Google News site a breeze and I highly recommend it over the many free news SEO plugins out there. Download the Yoast SEO plugin here. Not only does a fast site provide a great user experience, pagespeed is also an important ranking factor in Google so we should do everything in our power to make webpages load as quickly as possible. If you’ve checked your pagespeed in tools like Google PageSpeed Insights or GTmetrix, you’ve probably been told to ‘Enable page cache’, ‘Enable compression’, ‘Minify HTML’ or ‘Minify CSS’. The W3 Total Cache plugin aims to improve user experience and organic performance by reducing the time it takes to download a web page. This is done by storing elements on the on the user’s computer, so when they go from page to page they don’t have to “re-download” things they’ve already downloaded. Page Cache – This increases the scale of your web server by reducing response times. Minify – When you’re adding multiple plugins and/or working with a premium theme you run into the problem of there being too many style sheets. Minify combines the style rules onto fewer sheets, meaning fewer requests need to be made to your server. DataBase Cache – Since page and post content is stored in MySQL databases, it’s smart to optimize their performance with this feature. CDN – Integrates with whatever Content Delivery Network you use. If you have a media-heavy website, it is highly recommended using a 3rd party to host the files. Browser caching is by no means a new concept. This plugin makes it easy to administer caching from within the backend of WordPress. The options in W3 Total Cache can be overwhelming if you are new to this kind of thing. If you need some help with understanding what everything means, I highly recommend reading this guide by Jon Penland on the WPMU DEV blog. Download the W3 Total Cache plugin here. Managing and implementing redirects is an important part of SEO. This can be done without FTP access through the .htaccess file editor in Yoast SEO, however, it requires a certain level of coding knowledge and you run the risk of making your site inaccessible to everyone if you don’t know what you’re doing. Instead of having to make manual edits in your .htaccess file, the Quick Page/Post Redirect Plugin allows you to add and manage redirects from within the WordPress back end. This plugin has a range of features that make it one of the most comprehensive redirect plugins available for WordPress. Master Override Options – Allows you to set master options for that turn off all redirects, make all redirects “nofollow”, open in new windows, and more. Plugin Clean Up – This option will clean up (erase) all of the redirects you’ve previously set with the plugin. Quick Redirects – This performs basic manual redirect options where you specify the URL path and the target path. This is useful for implementing redirects then you discover broken links or you are looking to clean up canonical issues. Redirect Summary – Gives an overview of all the URLs you’re redirecting using this plugin. The redirect summary will help you identify redirect chains and see how frequently each redirect is being hit. Download the Quick Page/Post Redirect Plugin here. Bulky images can be a huge contributing factor to poor pagespeed, which, as mentioned earlier in this article, is critically important in providing a good user experience and is also a major Google ranking factor. I mentioned WP Smush Pro in my post on image optimization for SEO and it continues to be chosen plugin for image optimization. On some larger sites I work on, the WP Smush Pro plugin has literally saved hundreds of megabytes from the overall image library. Image Compression – Utilizing advanced lossless compression techniques to reduce the file size of your image library. Once activated, images are automatically optimized upon upload. Automatically Scale Images – Set maximum image heights and widths and larger images will be resized and compressed upon upload. File Types – Process JPEG, GIF and PNG image files. The free version is great, however, there are a few restrictions that you should be aware of, including being restricted to 50 with the number of files you process in bulk. If you have a large image library, this might be a problem. You will also be restricted to ‘smushing’ images that are 1MB or smaller. This shouldn’t be an issue because you should really never be uploading images that large to your website; it’s best to do some sort of compression and optimization before uploading images to your site. Super Smush Images – Get 2x – 10x greater compression with almost no noticeable quality loss. File Conversions – The option to automatically convert PNG files to lossy JPEG if extra savings are found. No Bulk Smush Restrictions – Bulk smush your entire image library with the click of a button – a big time saver for large image libraries. 100+ Other Premium Plugins – The way WPMU DEV works is that you pay a monthly subscription to get access to their range of 100+ premium plugins, so get much, much more than just WP Smush Pro. If you don’t want to fork out the monthly fee for the Pro version or think that you simply don’t need it on your smaller WordPress site, I still highly recommend using the free version. However, if you work on or own a lot of WordPress sites, I highly recommend the Pro version because you can install their plugins on an unlimited number of sites. Download the WP Smush plugin here (try the free version before you think about upgrading to Pro). There you have it! My four most recommended and most used SEO plugins for WordPress. While these plugins may not necessarily give you a ‘big SEO boost’ after setting them up, they will help ensure you are setting yourself a solid foundation to build on with your amazing content! Let me know what you think of this list; if you have any other plugins you think I should add, or what your favorite alternatives are! I’m agree with Richa. You shared very useful plugins. I wouldn’t touch W3 Total Cache with a long pole. They were recently forced into an update due to a XSS vunerability in the plugin, the first update for months. We thought the plugin had been abandoned quite frankly and if you look around the support forums, so did many others. WP Rocket would be our recommendation if you have some money to spend. Otherwise WP Super Cache by the team at Automattic and the Cache Enabler plugin by KeyCDN are both very decent and are simple to set up for most users. W3 Total Cache was always a PITA to configure, even for advanced users. Thanks for the heads up, GPL Vault! I’ve used WP Super Cache but I’ll check out WP Rocket and a few others (like WPMU DEV’s Hummingbird). I’ll be checking out WP Rocket very soon! SEO Framework is another solid plugin for SEO in WordPress. I hadn’t heard of SEO Framework but it looks like a viable alternative to Yoast. Is this your preferred SEO plugin? I really appreciate your efforts and I am waiting for your further write ups thank you once again. My favourite plugins are Yoast SEO and W3 Total Cache. Thanks for sharing useful plugins for wordpress blogs. You have mentioned some of the best plugins but my favorite is “All in One SEO pack”. Not sure if many people are aware of this plugin, but if you manage multiple sites for your clients, MainWP lets you access all those sites and edit from one dashboard. I am using three of them, only image optimization is left. it is not working on my website. We’re currently giving The SEO Framework a good test run, and so far we’re quite liking it’s fresh and clean approach to doing SEO in WordPress. Might be a solid contender to Yoast soon. If you are facing Problems with Your Home Appliances Products Such as Geyser / Water Heater, Washing Machine, Microwave Oven, Air Conditioner, Refrigerator, Water Purifier having Excellent Service Engineers who can Repair any product in very less time. Our Dedicated & Experienced Staff will Visit to Your Place in No time.Home Appliances Service Help Center has an unparalleled service centers across Hyderabad and Secunderabad. So you can get your product fixed in any part of the Hyderabad be it Our Engineer would reach your place with no Time. Having Problem with Your Air Conditioner, if you are looking DAIKIN AC Repair Hyderabad Service Center Secunderabad service or Repair at your home or business, we work with you to schedule a service call that’s as quick and convenient as possible. Once your service call is scheduled, we’ll be at your front door on time and ready to work. So you can get your product fixed in any part of the it Our Engineer would reach your place with no Time. Just Ring us, our service center 040 60506611. Thank you for a great informative. Yoast SEO is now pushing something called OnPage. In your SEO checks, it states that your site is not indexing and then leads you to OnPage to fix it. Yoast SEO is really nice plugin.WP Cache i will try got great information from this article. Awesome article for all Great achievement beginners and for Startups also. I’m using WP Rocket for cache, it is nice! and can even supporting in integration with Woocommerce and Cloudflare. Thank you GPL VAULT for your recommendation led to it’s research and successfully committed.